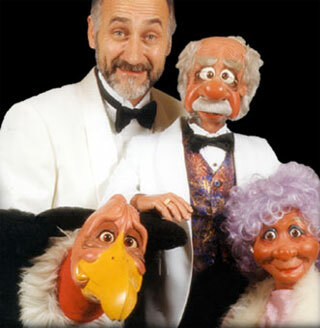 Don Bryan, Canada's premier ventriloquist - humorist has been a well-kept secret in North America for the past 30 years. As one of the most highly-acclaimed ventriloquists in the world,his fast-paced, hysterically funny and completely customized presentations combine to delight even the most jaded audiences. With an exceptional talent for researching and tailoring his performance to an audience's specific requirements, Don Bryan is a rare talent in an industry of "can openers"! Each performance is peppered with regional, political and industry humor and the outrageous situations his characters can drag the audience into will leave them howling in the aisles and, sometimes ... falling out of their chairs. "Understanding my audiences and clients is a specialty I'm very proud of. It makes my work more challenging and, in turn, much more rewarding!" Don's experience and reputation keep him in demand as an entertainer for corporate events as well as on cruise ships like Holland America, Crystal Cruises and Celebrity Cruises. Don has appeared in concert with Trisha Yearwood, Dolly Parton, Eddy Murphy, and George Jones to name a few. Don and cast of characters help audiences find the joy of the "bellylaugh" again. We can't help but laugh at ourselves and the trials of everyday life. After all ... didn't someone say, "To err is human, to laugh hysterically is utterly divine"! "This is just a quick note to say that Don Bryan was an excellent guest speaker at our annual meeting. We were a little concerned how our conservative members would respond to a ventriloquist, but Don and Noseworthy received rave reviews from everyone. Don's presentation was well-paced...he made an effort to find out who some of the key players are in our business... everyone had a great time." "Our evening in the company of Don Bryan, Noseworthy and friends was a huge success. Don makes ventriloquism look so effortless and natural that it was easy to forget that this was a ventriloquist act - it seemed more like a real conversation between Don and Noseworthy. If you have other clients who are considering engaging Don, I'd certainly be pleased to recommend him... his show is clever and entertaining and suitable for all types of audiences." - Fairfax Financial Holdings Ltd.
"Don's performance was wonderful. The audience was absolutely thrilled. People were literally laying over the table with their heads in their arms, trying to regain control of themselves. Many times you see performers who treat you just like everyone else... Don didn't do that...he put 110% into ensuring that our audience was thoroughly entertained." "His act was clever, had style and class. His performance was very professional." "First, let me say that Mr. Bryan is the consummate professional and a true joy to work with. That aside, this is a very, very funny man. His act had several of our delegates in near physical distress they were laughing so hard. His performance was outstanding, his material sharp, delivery precise and very , very enjoyable." Noteable Entertainment & Events is a Vancouver based booking agency, party rental, entertainment services and event production company. If you are interested in booking Don Bryan please contact us.